FINRA arbitration panels would have to provide a more detailed rationale for granting a rep's request to have black marks wiped off their BrokerCheck report. Many of the events on BrokerCheck reports are "frivolous," recruiter Jon Henschen says. The Financial Industry Regulatory Authority’s Board on Thursday authorized the regulator to seek public comment on a plan to require more stringent requirements to erase disciplinary actions from BrokerCheck. Richard Ketchum, FINRA’s CEO, said in a video message after the Board meeting that the rule would “update arbitration rules related to expungement of customer dispute information” from BrokerCheck. “The changes are part of our ongoing effort to strengthen the expungement regulatory framework,” Ketchum said, adding that the proposal would “codify” current best practices. For instance, an arbitration panel would be “required to receive a copy of the BrokerCheck report when deciding the expungement request.” Also, the arb panel would be required to provide “more details of its rationale for recommending the expungement request,” Ketchum explained. “This is an important balance we’re trying to hit,” Ketchum said. “The securities industry really differentiates itself in the amount of transparency it provides to prior issues that customers should consider in retaining a broker. Jon Henschen of the broker-dealer recruiting firm Henschen & Associates says that it’s already “very difficult” for brokers to get “anything taken off” their BrokerCheck profiles — including frivolous claims. “We encounter financial advisors with customer complaints where the complaint was ‘denied’ or there was ‘no action taken,’ yet these nonevent marks stay on their record and may even be looked at as showing a pattern (yes, a pattern of incidents) or could be included in requirements for heightened supervision,” Henschen says. FINRA’s Dispute Resolution Task Force, appointed last July, issued its interim report in June on key issues facing the group, which includes expungement. 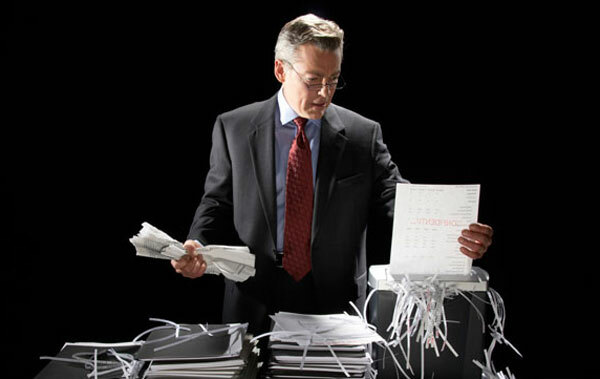 The Task Force said in its June report that FINRA and the North American Securities Administrators Association are in discussions regarding the expungement process, with the task force agreeing that it should allow time for FINRA and NASAA to complete their discussions on the feasibility of a “new regulatory approach and process” regarding expungement. The 13-member arb task force — created to consider possible enhancements to its securities arbitration forum to improve its transparency, impartiality and efficiency — will issue a set of recommendations after a full year of review to the National Arbitration and Mediation Committee (NAMC), FINRA’s Standing Board Advisory Committee. That report is expected to come by year-end. The task force held its third in-person meeting on May 14 -15; the next is scheduled for Oct. 2. OCIE sets out violations of Reg S-P that have shown up in recent exams.